A garage door is a large piece of equipment made up of a lot of pieces. Besides all the parts that help to move your door up and down, garage doors tend to be build with sections or panels. And accidents happen, sometimes a panel of the door gets damaged or maybe parts of the door are showing wear and tear quicker than others. If that�s the case, you might be asking yourself whether you should replace one section or replace the entire door and we are here to answer your questions. Maybe a section of the door just looks rusty or was scratched accidentally. If it is just one panel or maybe two and just seems to be a surface level, then you probably only need to replace the panel. If you aren�t sure, then we recommend calling your local garage door company and they can send someone to take a look at it. We recommend doing this if it seems like more than just a scratch. If someone hits the door and leaves a dent and the damage only appears to be one a panel or two, then you should be able to replace them. But you have to be careful when it comes to damage to the garage door, even if it seems insignificant. Why? Damage to even one panel could have damaged some of the moving parts that are connected to the door or disrupt the weight distribution of the entire door and lead to further issues down the road, compromising the door�s structural integrity. And the panels of a garage door are specifically designed for the door of that specific size and weight so if you change one section of it and it isn�t a perfect match, then this could also make the door unfit and unsafe for use. Again, if you aren�t sure, then call an expert. If your garage door is greatly damaged, if you back into it, or even if it is a very old door that seems shaky when it moves, we recommend investing in a new garage door. A damaged door is dangerous and useless to you anyways and an old door can look bad and be just as dangerous. So do your home, your family, and yourself a favor and call the expert technicians at Precision Door today so we can send someone over to replace a part of your door or help you pick out a perfect new door. 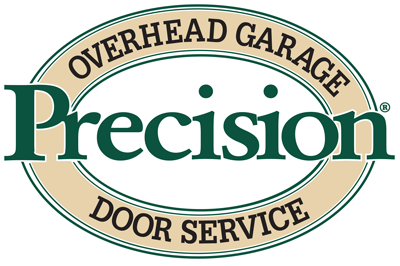 24/7, for all your garage door needs, we are here to help! I received excellent service and was very impressed with James� knowledge and work ethic. James knew exactly what he was doing, was fast, efficient and suggested work that improved the operation of my door substantially. If I need work in the future, I would not call anyone else and hope that James would continue to be my technician.